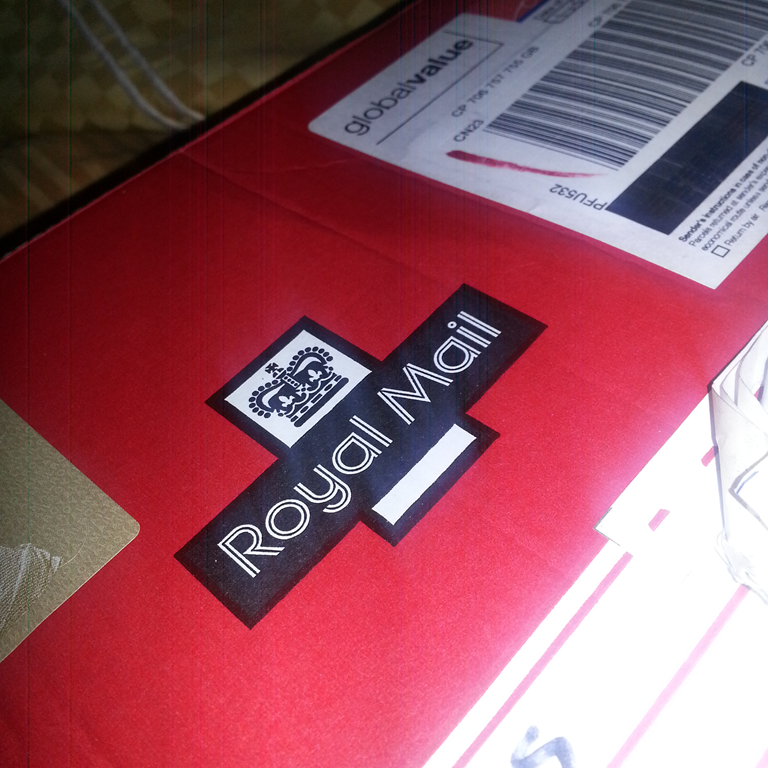 Let’s set the stage: I love getting mail in general. I love the anticipation. I’ve been over it 934953948539 times. (Okay maybe that number is hyperbole. But if you’ve followed the 100 Things tag (or was it the 100 things challenge tag?) I’ve been over it. But yesterday was different. CUE A LOOP OF this tune when I open my mailbox yesterday morning. Do not stop the loop. These 24 hours are that silly. 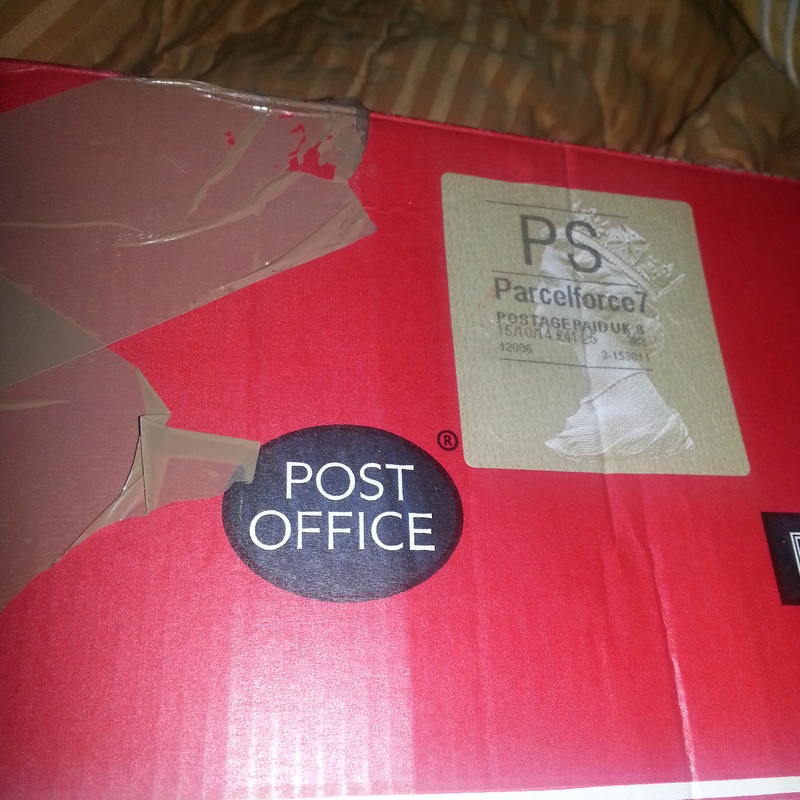 “Parcel?” I don’t remember ordering something. “Attempted delivery at 9:15 AM?” For once, the local post office is on top of things. I’ll attempt it tomorrow when I get off of work, I decide. Fast forward to this morning when I can’t seem to figure out how ‘awake’ works. I try to text my boss to let her know I’m going to be a little late (I’m a little sick) but for some reason my screen’s not working. I’m blinking-sleep on the bus. I get to work about fifteen minutes after I realize what the problem with my phone was. See, I was trying to dial my keys. Further, APPARENTLY my phone bounced texts and my “Uhhh, we sold nothing, you got a day off” message didn’t come in. And I wouldn’t have known considering I was trying to place a call ON MY KEYS. AS A MATTER OF SCALE I HAVE SCALED THIS DOWN TO ABOUT 30 PERCENT. WTF PHONE? EVERYTHING IS NOT THE SIZE OF THE GATEWAY ARCH. IT DID NOT ALSO ALL FIT. NOW FOR THE BEST PART OF PACKAGES: RIPPING INTO THAT SUMBITCH LIKE A STARVING MAN INTO A HOAGIE AND MUG OF TEA. 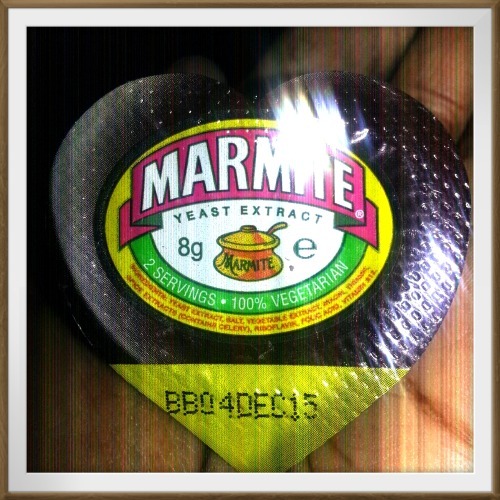 *girly squee* Would you look at this it’s heart-shaped l’il Marmite. 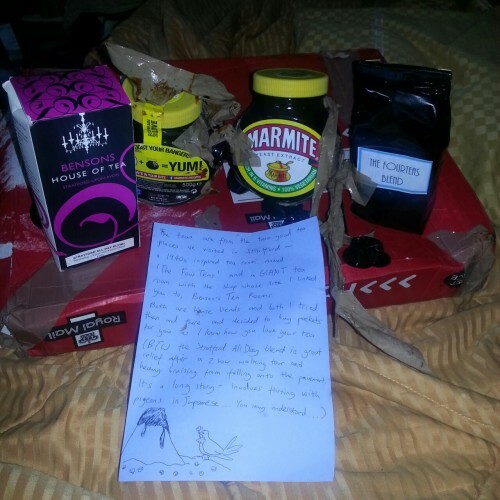 MARMITE AND TEA AND MORE MARMITE AND THE FACT THAT THE POST SMASHED A LOT OF THE MARMITE CAN BE FORGIVEN BECAUSE THEY DIDN’T BUTCHER THE TEA. AND IS THAT SUA. I JUST. I DON’T. I CAN’T. EXCUSE ME WHILE I LET OUT THE SOUND THAT DEFINES GIRLY. IF WINDOWS SHATTER NEAR YOU, MY BAD. AND OMG. TOFF. YOUR HANDWRITING. ADORBS. I GUH. IF YOU’LL EXCUSE ME. I THINK IT’S TEA TIME FOR ME.